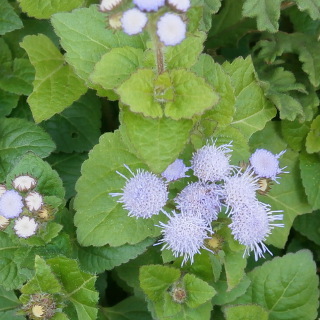 Ageratum blooms cluster of small light purple flowers with short thin petals like thread. The leaves are looks like mint. The colors are white and purple. It put in plunter and garden at home.